This is all about the POINT of P3. For instructions on HOW to actually do P3, check out that series here: How to Do Phase 3. With Phase 3 it seems there’s basically 3 different factors that are being addressed. Stabilizing your new weight so it stays in about the same place with relative ease (see that post here). This post is all about Digestive System Adjustment. Oooh doesn’t that topic sound about as exciting as washing dishes for fun on a saturday night! I know Dr. Simeons warned about not increasing your calories and food intake on p3 enough and running into trouble. But since he wasn’t specific on amounts, it’s difficult to know exactly what he had in mind. That’s why sometimes vague statements can almost be more hurtful than helpful because different people will take it different ways. As an example, for many years I have read about the importance of taking in “lots of protein” (a very vague statement- exactly how much is lots?”) especially when working out- so that’s just what I did- I have eaten up to a whole pound of meat in one sitting, on many occasions, because I was worried about not getting enough protein after my workout and losing muscle. Did I mention I’m 5′ nothing and weigh 124ish lbs? A girl my size does NOT need a whole pound of meat after a workout. But somehow because most of what I had read was so vague and not specific at all, my brain had to come up with a definition for “lots” which ended up amounting to one pound. WAY more than I need for my size in one sitting. So that’s my example to show that some of us, if not given clear direction, can take things too far one way or the other, because we simply don’t naturally know what’s balanced since we have no point of reference. Robin has very good input regarding this, and remember she has guided thousands of patients through the hCG protocol while studying it’s effects and using it as a research ground. And really, it makes sense doesn’t it? For instance, it’s well known that anyone who goes on a fast for numerous days, has to be very careful about reintroducing solid foods again- a fasting person who sat down to a burger and fries for their first meal again could easily end up in the hospital. If you’ve been vegetarian for some time and go back to eating meat, you usually have to gradually introduce meat because you’re body is not adjusted to eating meat anymore. 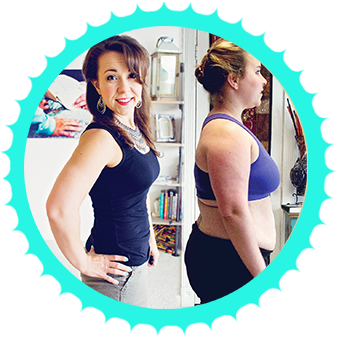 You can’t just shock the body like that because the body adapts to whatever state you put it in – you have just spent 6 weeks not needing a whole lot of digestive action going on because you’re body was living primarily off your fat. Now you need to ease your body back in to larger amounts of food and fat by gradually introducing it so that your digestive time has time to re-adapt to handle it properly. There’s a great article helping explain this need for adapting here. Another good example is a person who has been eating a lot of processed foods and decides to eat a lot more raw veggies – you can get that same indigestion and bloating from eating a whole head of kale without first easing into raw foods – again because your body needs to adapt. I remember once I got the idea into my head several years ago to eat more raw veggies and be all healthy. I then ate 3-4 spears of thick asparagus raw. I had one of the WORST stomach aches of my life about a half hour later. So SURE it’s super healthy – but as we can see, we still have to ease into some things. You can tell from his manuscript that Dr. Simeons was concerned with individuals who were so nervous about p3 that would try to continue eating the 500 calories even once the hCG was gone, scared to eat more for fear of gaining weight. So we know not to do go that far. But he was less clear on how much more we were actually supposed to eat. I think portion sizes have gone up QUITE a bit since his day, so our perception of what’s a “normal” amount of food is often not accurate and is actually too much. (find article on portion size changes in the past 50 years). I am again the perfect example of this mistake. I am guilty of overdoing it in p3. While I am very strict about not eating the starches and sugars, I have not been smart in the past when it came to amounts of food. I would often feel myself getting overly full, which is not good. Since you just spent several weeks eating very little food, your body is not going to be well equipped to handle too much food at first– it makes more logical sense to add amounts of food in more gradually. In truth coming off the vlcd you are usually never hungry for the larger amounts of food you ate pre-hCG right away – your capacity for amounts of food will most likely gradually increase the first week of P3. Also, I can’t be totally sure of this at this time, but it seems to be that your body is still somewhat sensitive to fats when you first come off the diet. I could be wrong here guys. But this is the impression I get so far, and so it makes me think that introducing fats in the diet should be done gradually as well. Maybe a little the first few days, then a little more, etc. I know the hCG gets out of the system in 72 hours supposedly, but I just feel like in my experience my body was still sensitive to and would take up fat very easily even that first week of p3. I would love to hear others feedback and experience on this if you have it. Additionally for the sake of your gall bladder as Robin mentions in her book, another reason to add fats back in slowly. I guess I’m now guilty of being vague when it comes to details on how much to add how fast etc. I really don’t know an exact answer, but the main point of this article is basically to say, there is no need to stuff your face as soon as P3 begins, no matter how healthy the food is, which I think is what some of us misunderstood when we read Dr. Simeon’s original words on phase 3. And that in fact, going too fast can be harmful both to your organs and to your weight. Going slow seems to create the best stabilization and allows your body to adjust it’s digestion again gradually until you can be eating more normal amounts of food again. I hope this helps! Stay tuned for the final article in this Phase 3 Purpose series – the 3rd reason which is all about discovering food sensitivities. I will be entering phase 3 next week. I love to weight train. Is this something I should avoid till phase 4? Anyhow, I’ve lost 18 pounds and this is my first round. My hunger has not really increased. My 72 hours will be up tomorrow around noon. (night owl here, it’s almost midnight) I wonder if my hunger will skyrocket tomorrow but I don’t really think so. Based on my *cheats* during my VLCDs I’m already pretty darn sure gluten and I are NOT friends! There is a book my aunt wrote (she’s brilliant) called “It’s Not Mental”(Jeanie Wolfson-Cross) it relates to food allergies, hormone imbalances and thyroid problems (mostly underdiagnosed ones related to T3, T4 etc) anyhow her gentle persistence that I may be genetically prone to food allergies and/or thyroid issues (many in my family have been confirmed with these) is starting to become clear because mostly my VLCDs have been VERY similar to an elimination diet that’s used to identify food allergies! Oh and btw her book relates all of the above as possible causes of the manifestation of mental health problems! Depression, Anxiety, ADD here… Something to think/chew on right? <3 you btw, silent cheerleader, you're the best! hi hcg chica, i love your posts and i found them realy helpful in my round of hcg. actualy i have some questions about the corrections days on p3. i have a huge intolerance to red meat, but also donc like to do apple days due to the sugar amounts on p3. but lot of people are doing some correction days with a lot of fat intake and show some good losses. i'am just afraid to try this since it hase lot of fat that i guess we are trying to lose and not to get in huge quantities..
what whoud you say about that ? and thank you some much..